At this year’s Academy Awards, we started to see a small glimpse of what it looks like when Academy voting members are not primarily all white, older, and male. ‘Moonlight’ star Mahershala Ali won for Best Actor in a Supporting Role and became the first Muslim Actor to win an Oscar. Well deserved! Viola Davis also made history by becoming the first black woman to win an Oscar (Best Supporting Actress in ‘Fences’), an Emmy and an Tony Award for acting. Yes! ‘Moonlight’ beat out industry favorite ‘La La Land’ for Best Picture, and the film’s director and writer gave an inspiring speech about being proud to represent the LGBTQ community and show them their stories matter, as they accepted the award for Best Adapted Screenplay earlier in the night. Yes, this was a far cry from the #OscarsSoWhite controversy the year before. But how many female directors were nominated? How many women were nominated in the writing categories? How many in the editing or cinematography categories. The answer is none. And that’s a damn shame. With so much noise being made from women who work in the industry about the need for studios to not be so biased in their hiring practices (remember the major ACLU/EEOC lawsuit filed a couple of years ago?) it’s about time we see people in positions of power start to recognize their role in changing the status quo. 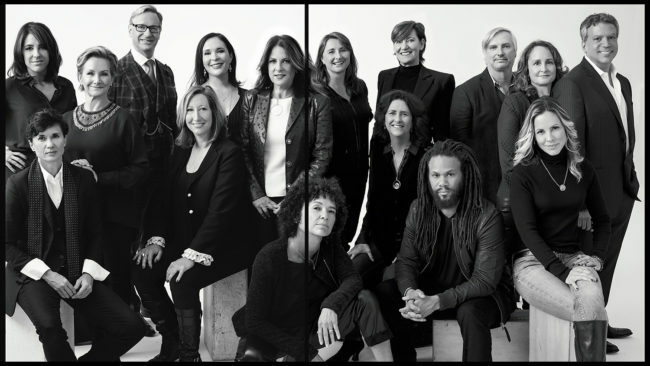 The non-profit Women In Film organization have launched a new campaign called ReFrame, which is comprised of 50 or so Hollywood leaders and influencers, including studio heads, agency partners, senior network executives, talent and guild representatives who have teamed up with Women In Film and Sundance Institute to create a formal action plan to further gender parity in the media industry. “ReFrame builds on four years of research in collaboration with the Media, Diversity and Social Change Initiative at USC Annenberg and an October 2015 convening of this group. Our unique strategy involves a peer-to-peer approach, in which ReFrame Ambassador teams engage senior industry decision-makers,” says a description about the campaign. (3) accreditation for gender inclusiveness in the form of a ReFrame Stamp certification. In addition, ReFrame will distill existing data and conduct new original research to prove that diverse content is economically feasible and makes good business sense. It is designed to address the lack of parity on screen, behind the camera, and indeed on the payroll, as we’ve become aware of with numerous women talking about how they have been paid significantly less than male co-stars on certain projects. Cathy Schulman, president of WIF since 2011, called her friend Kerry Putnam, executive director of the Sundance Institute and expressed how tired she was of giving speech after speech about the dismal statistics for women in the industry, and what began as a research project has now blossomed into what they hope will be a significant assault on inequality, from within. “Sending out these senior-level ambassadors to meet with top executives and decision-makers at studios, networks and agencies is a very collegial approach. It isn’t about outsiders saying what should be done,” Kerry Putnam told The Hollywood Reporter. First, the campaign has designed a logo they envision being their stamp certification as outlined above, which they can give to certain productions and companies who are making a significant effort at change, in order to track whether this is working. “The potential risk is that the corporation will be like, ‘OK, great, we’ll encourage our filmmakers to do that, but it’s not on us’. The challenge is to make sure studios and networks are telling the filmmakers, ‘We want those stamps. We don’t want to be the company at the end of the year that didn’t get a single one’,” said Producer Nina Jacobson who is one of the campaign’s members. Second, the Culture Change Toolkit will enable companies to see where their unconscious bias may lie, and how they can actively choose different hiring methods in order to ensure they are casting as wide a net as possible when looking for diverse talent. 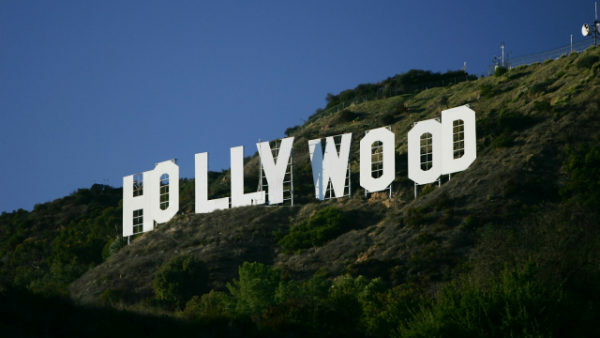 Part of the problem is when the traditional studio and agency institutions complain they “can’t find female talent” and that happens when they don’t look elsewhere, such as The Director List database created by Los Angeles filmmaker Destri Martino, which has literally thousands of professional, talented female directors available to work. Retraining the way the industry functions on a daily basis is also crucial to creating change and is foundational to ensuring new hiring practices become the norm. “My immediate goal is to get every person we meet with to sign their companies up for the unconscious bias training. If you’re a studio executive and you request a list of directors or writers from an agency and it comes back 99 percent male, make that second phone call: ‘Hey, do you have any clients that are female?’ Our brains are used to doing one thing a certain way for so long that we don’t question it. Just that little intervention of requesting a more balanced list is effecting change from the bottom up,” said Michael De Luca who produced this year’s Academy Awards show. The third approach is through mentorship, which has become quite a significant barrier for women in the industry, and not necessarily for sinister reasons. Men at the top of their game will often look at young, male up-and-comers, see themselves in them, and want to mentor them. With the lack of women in the same types of positions as, say, the Spielbergs, the Camerons etc, there is no peer-to-peer pipeline for young women in the same capacity. “Can we do basically what men have been doing in the system, which is, you’re a young filmmaker, somebody gives you a movie beyond your capacity and you learn on the job?. That never happens for women, who are not chosen above their experience level,” said ‘Boys Don’t Cry’ director Kimberly Peirce. THR’s Rebecca Sun shares some stats from the latest USC Annenberg Media, Diversity & Social Change Initiative, which shows Female filmmakers work far less frequently than their male counterparts — 80% of female directors made just one movie in the past 10 years, compared with 54.8% of male helmers. Only 4% of the 1,000 top-grossing films in the past 10 years were helmed by women, according to a USC Annenberg study released Feb. 1. Addressing gender inequality from the ground up could also have a major effect on box office bombs, according to writer-producer Glen Mazzara. “Straight white men can have a bad box-office opening or a show that doesn’t hit. We get to fail up in a way that other people don’t. How do we give women, people of color, LGBT or older writers their second, third or fourth chance?” he asked. For the next few months, ReFrame members will be taking meetings with networks and production companies in the hope they will pledge to work with them on addressing this issue within their own work environments. ‘Bridesmaids’ and ‘Ghostbusters’ director Paul Feig, who has been very outspoken about the need for more women to direct films, says it’s not enough to just say you want to change (as many companies claim they do since it is a hot topic right now), action needs to be taken. “The biggest challenge will be getting people past the idea that they are doing enough. Everyone agrees with the cause and thinks, ‘We’re on that.’ But it’s about getting to that next level where you actually physically do it,” he said. The ReFrame campaign members stress that this is not about pointing the finger and blaming for the sake of shaming, it is about how industry leaders can work together to recalibrate their way of doing business, being more diverse in the process, while still being profitable at the end of the day. We get that putting millions of dollars into a film is a risk for any studio, but with the success of blockbusters like the ‘Twilight’ saga, the ‘Hunger Games’ franchise, ‘Hidden Figures’ (which has earned more money than ‘Rogue One: A Star Wars Story’ at the box office) and many others written, directed by, about, and starring women, this could very easily be a jumping off point with all the other points of bias addressed in a comprehensive way. Women’s Media Center (another great organization which tracks the data around women’s representation in all forms of entertainment) writer Sasha Stone spoke to Melissa Silverstein, founder of Women and Hollywood and the Athena Film Festival, who has been a huge champion of increasing the number of female-driven projects in the industry. She admits that women today are not necessarily waiting around for the right opportunity, they are making room for themselves with grants, crowd-funding initiatives, digital media outlets, and other independent means. But that is not going to fundamentally alter the industry. 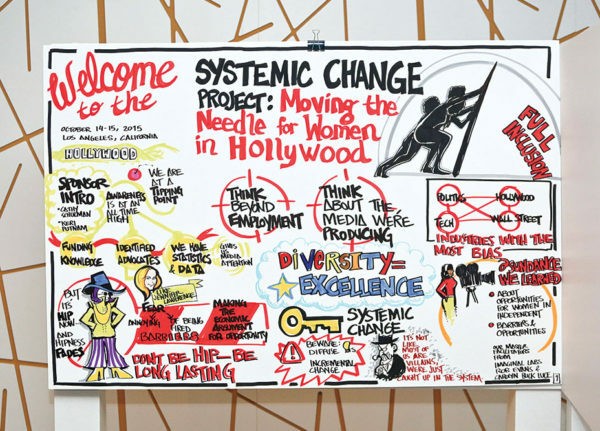 “Interventions are needed at all levels of the industry from the second a person walks into film schools to the festivals all the way up to the Hollywood blockbusters that women have no access to direct. If ReFrame gets the women in the door and gets them jobs, it will be a huge accomplishment. There are women able and ready to direct all different types of movies. They just need the opportunity, ” she said.